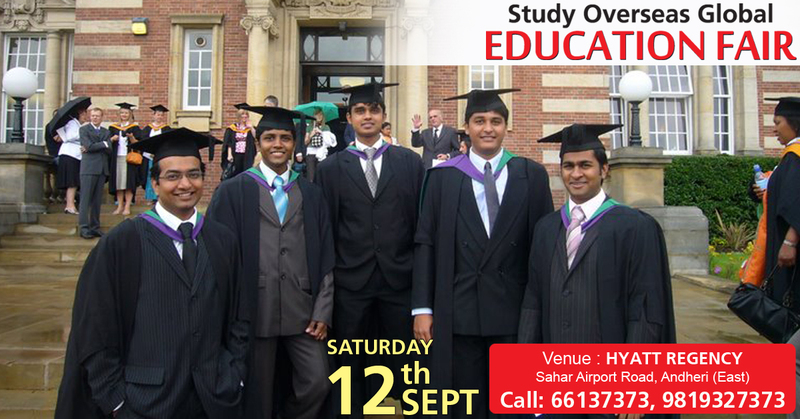 You are invited to Study Overseas Global – EDUCATION FAIR September 2015. Come and explore the options for higher studies in abroad and interact with the delegates from WORLD CLASS INSTITUTIONS. Fill in the details for FREE registration organised in 4 cities across India. You can also contact any of our offices below for further information and registration. Study Overseas Global, an education consultancy established in 1996 and officially represents over 300 institutions worldwide. Our services include counselling students to choose the best course/university, test preparation, visa assistance and much more….